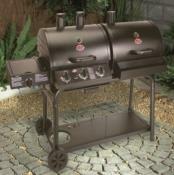 Enter the tasty world of barbecue food smoking and experience the difference of real smoked meat and fish. 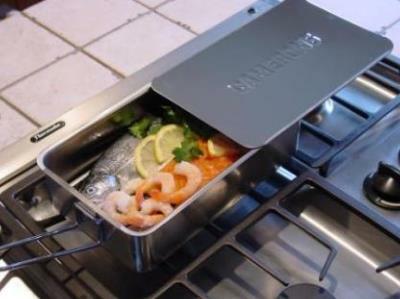 This selection of indoor and outdoor smokers will suit all budgets and sizes, from small indoor stovetop smokers to the large American style barbecue smokers. 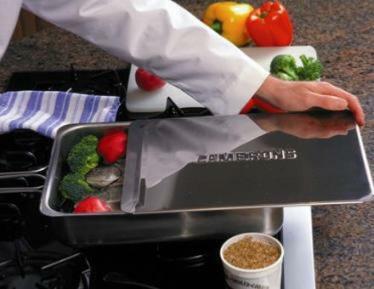 Deliciously Smoked Food In Minutes Not Hours. 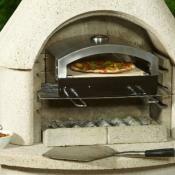 Smoke Meat, fish, cheese and vegetables in this top quality professional smoker. 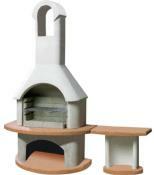 Wood-chips included - All You Need to Start Smoking. Imported from Finland where smoking food is a way of life for most families. 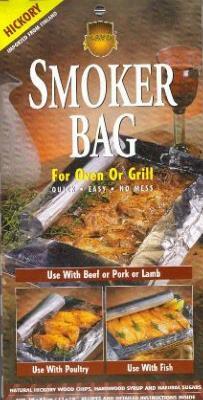 Now they have perfected a unique way of smoking food indoors using a triple layer foil bag. Trapped between the layer of foil are natural Alder woodchips and a hard wood syrup. 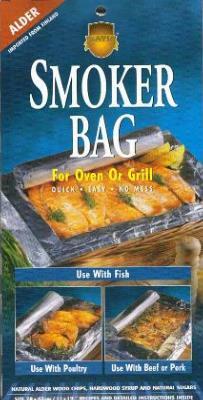 No chemicals or additives, these smoke bags are a clean and effortless way of smoking meat and fish indoors or out.